The pain Kobe Bryant has felt in his body has at times become too overwhelming. He felt a kicking sensation just moments before tearing his left Achilles tendon. He felt tension in his left leg after colliding with Memphis’ Tony Allen. He felt an ache in his right shoulder right after throwing down a one-handed dunk that morphed into a torn labrum. Yet, Bryant has willingly completed his lengthy rehabs that has entailed taking endless ice baths, antibiotics and rest all for the sake of accomplishing two things. So Bryant can return to the basketball court and prove he can both overcome a serious injury and play at an elite level. So he can further reach his quest that has driven him for his entire 19-year NBA career. Hence, the $25 million question entering the Lakers’ 2015-16 season entails whether Bryant can play out the final year of his contract without suffering another major injury. Yet, Worthy hardly believes this will mark Bryant’s official farewell tour. A seemingly harmless question soon turned into a heavily scrutinized topic. The Lakers’ newcomers in Roy Hibbert, Lou Williams and Brandon were all asked if Bryant touched base with them at all ever since joining the purple and gold. Hibbert shook his head ‘no.’ Williams and Bass continuously stared at Hibbert. Bass soon smiled over the awkward silence. But instead of considering this a red flag in future team chemistry, Lakers general manager Mitch Kupchak represented one of many who found the incident amusing. There have been countless free agents and draft prospects in recent seasons that mentioned in some variance of Bryant calling or texting to talk about getting ready for the upcoming season. Such examples included Dwight Howard, Carlos Boozer, Jeremy Lin, Julius Randle and D’Angelo Russell. 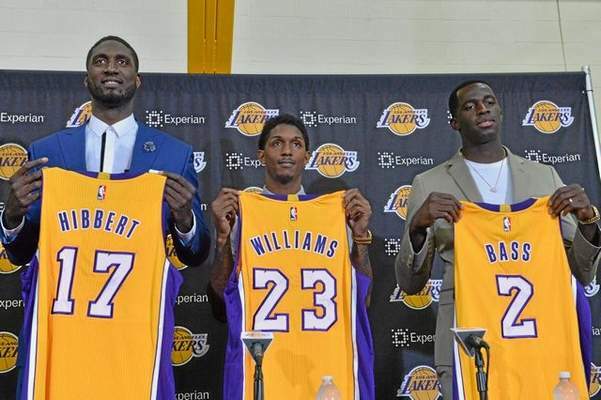 Yet, Kupchak argued “it’s not that unusual” Bryant declined to touch base with any of the team’s new arrivals. The pinpoint passes he threw and his confident on-court presence gave D’Angelo Russell the edge over all the other draft prospects the Lakers evaluated. His prolific scoring and insatiable thirst for self-improvement ensured Jordan Clarkson a positive impression among his Lakers teammates, coaches and trainers. Combined together, it appears Lakers general manager Mitch Kupchak cannot help but think about good things that will transcend into the franchise’s long-term future. One player has taken pride in coming off the bench and scoring in bunches. Another player has felt the same. One has done it consistently enough last season to win the NBA’s sixth man of the year award. The other player failed to do it consistently enough that the Lakers could not to find any suitors to trade him. That leads to one question that could define the Lakers’ bench identity. 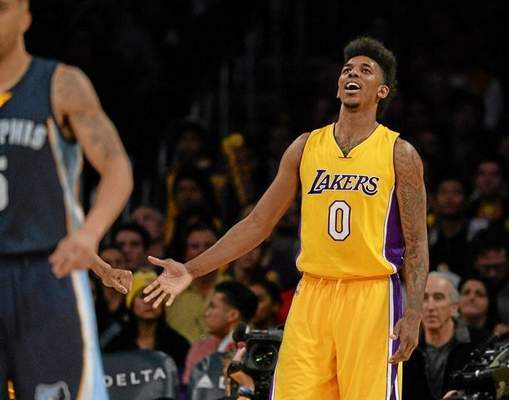 When Lou Williams and Nick Young are playing together, who will shoot the ball? “Whoever has it,” Williams joked, prompting plenty of laughter on Wednesday at his introductory press conference at the Lakers’ practice facility in El Segundo. Yes, Williams and Young have cemented reputations as looking to score first, pass second and defend never. Before signing a three-year deal worth $21 million with the Lakers this offseason, Williams has averaged 11.9 points and 2.9 assists through his 10-year NBA career with stops in Philadelphia (2005-12), Atlanta (2012-14) and Toronto (2014-15). Young has averaged 12.3 points and 1.1 assists through his 8-year NBA career with stints in Washington (2007-12), the Clippers (2012), Philadelphia (2012-13) and the Lakers (2013-present). Yet, Williams expressed optimism he and Young will co-exist. The Lakers plan to bring Williams off the bench as a shooting guard, while Young will play as a reserve small forward. Williams also cited his past experience teaming with other high-volume scorers, including Allen Iverson. Lakers forward Nick Young recently met with general manager Mitch Kupchak, according to league sources familiar with the situation. 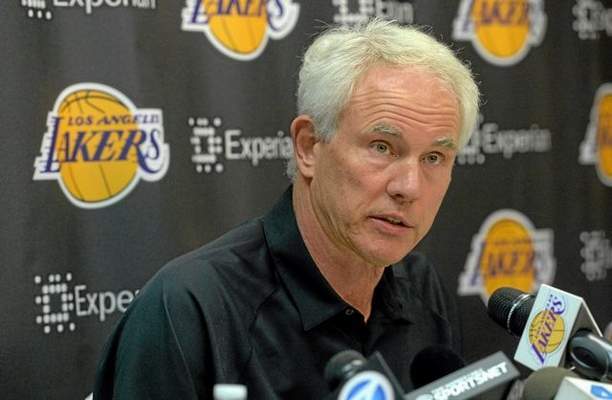 It is not entirely clear what Young and Kupchak addressed in their meeting. 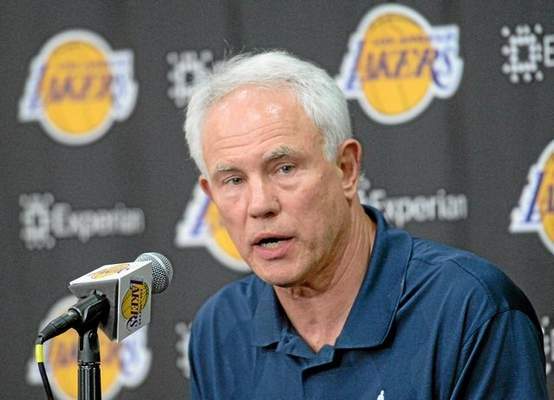 It is typical for Kupchak to meet with players to discuss both professional and private issues. But the conversation at least left Young feeling comfortable enough that he will enter the 2015-16 season on the Lakers’ roster, according to a source familiar with his thinking. A statue of Kareem Abdul-Jabbar has sat outside Staples Center for the past three years, showing the unstoppable skyhook that both punished opponents and carried the Lakers to five NBA championships during the Showtime Era. The Lakers also retired his No. 33 jersey on March 20, 1989, a uniform the Lakers have displayed proudly both at the Forum and at Staples Center. And Abdul-Jabbar’s listing in the NBA record books has not changed, his league-leading 38,387 points staying intact ever since retiring more than 25 years ago. Yet, there marks another symbol in which Abdul-Jabbar has cast a shadow on the Lakers’ organization. Even before he proudly held his No. 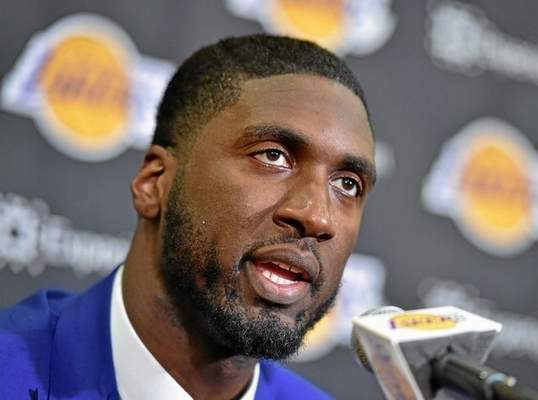 17 Lakers jersey at an introductory press conference on Wednesday, center Roy Hibbert revealed he has stepped foot on The Captain’s ship. The question has become customary to ask any new Lakers player considering Kobe Bryant’s lasting influence on the organization. Usually, the players will share that Bryant texted or talked with them on the phone. 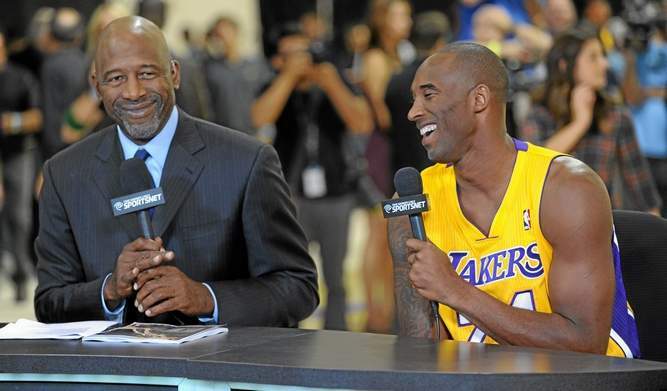 Sometimes, they will divulge what insight or advice Bryant offered. 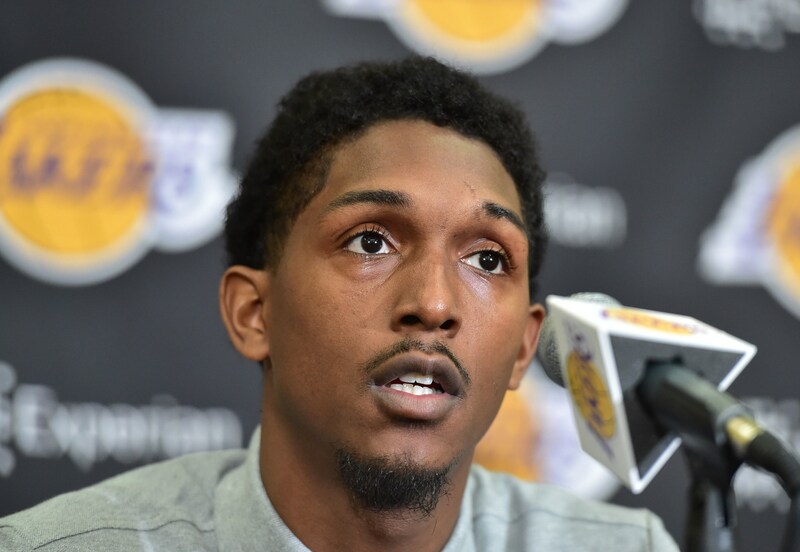 But center Roy Hibbert, guard Lou Williams and forward Brandon Bass, all of whom the Lakers acquired this offseason, indicated in an introductory press conference on Wednesday they had not heard from the Lakers’ star. Hibbert shook his head “no.” The players looked at one another. Brass smiled amid the deafening silence. Bryant, who is entering the final year of his contract worth $25 million, has touched base with other players in the past. That included D’Angelo Russell, whom the Lakers drafted with the second overall pick. Bryant also sat in on the Lakers’ first free agency meeting with LaMarcus Aldridge. Lakers general manager Mitch Kupchak stood next to what represented the framework surrounding all the moves he made during free agency. Roy Hibbert stood next to Kupchak donning his Lakers jersey at an introductory press conference on Wednesday after the Lakers acquired him from Indiana for a second-round pick. Shooting guard Lou Williams and power Brandon Bass also stood their holding their Lakers jerseys after signing here as free agents. Add in Kobe Bryant’s expected return and the Lakers crop of young draft prospects, and it appears they have most of their roster set for the 2015-16 season. Yet, Kupchak stressed afterwards that his work is hardly finished, suggesting he would look to add either a point guard or center. The Lakers have a flooded backcourt with D’Angelo Russell, Jordan Clarkson, Bryant, Williams, Nick Young and Jabari Brown. But Kupchak suggested Bryant and Young could play more at small forward instead of shooting guard. Meanwhile, Brown is expected to make the team on a non-guaranteed deal, but is only a second-year player. Shaquille O’Neal set his opponent off into a tizzy. This time, the reasons did not involve O’Neal unleashing his unmatched strength as he powered his way inside for a devastating slam dunk. Instead, it involved an unprompted O’Neal setting off a sports debate on how the best all-time Lakers and Bulls teams would square off in a game. O’Neal imagined the Lakers would have too much dazzling passing (Magic Johnson), too many unstoppable sky hooks (Kareem Abdul-Jabbar), too much prolific scoring (Kobe Bryant and Elgin Baylor) and too much brute force (himself) for any team to stop them. Even if the Bulls fielded a lineup featuring Michael Jordan, Scottie Pippen, Derrick Rose, Dennis Rodman and Horace Grant, O’Neal offered the outcome would prove as lopsided as a forgettable game against a lopsided opponent. The sunny skies and frequent laughs served as the permanent backdrop when athletes and celebrities strolled down the red carpet before the ESPY awards at the Microsoft Theater on Wednesday. But TNT analyst Kenny Smith turned serious amid a cloudy forecast regarding the Lakers’ fortunes next season. 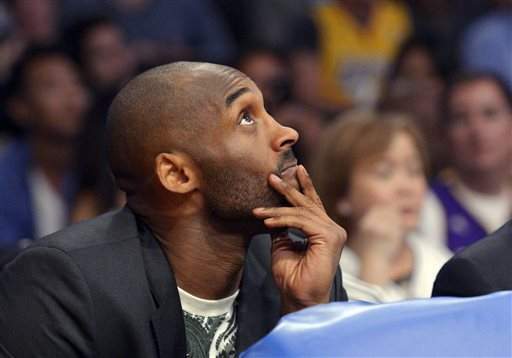 Among the many questions surrounding the Lakers: how will Kobe Bryant play in his 20th and perhaps final NBA season?